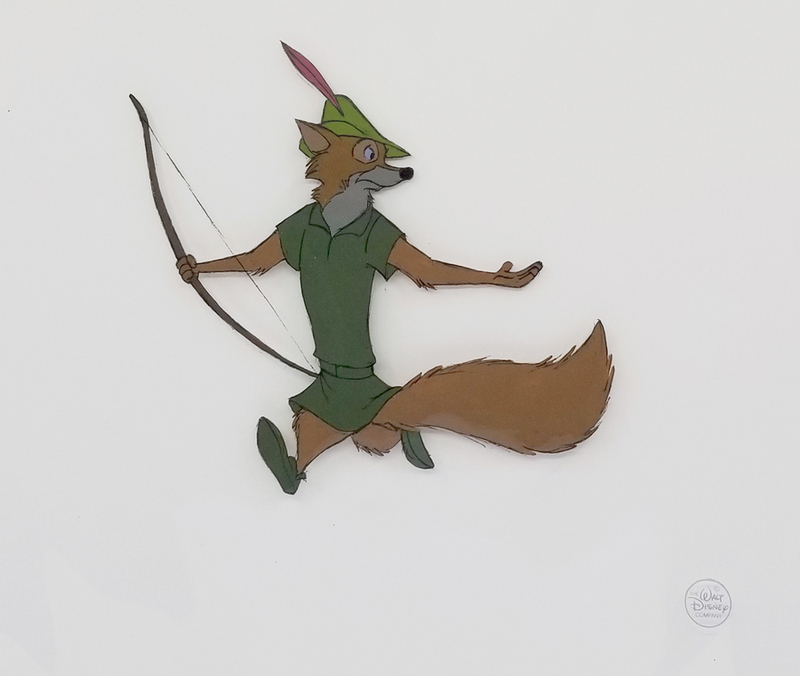 This is an original production cel from the Walt Disney Studios production Robin Hood (1973). 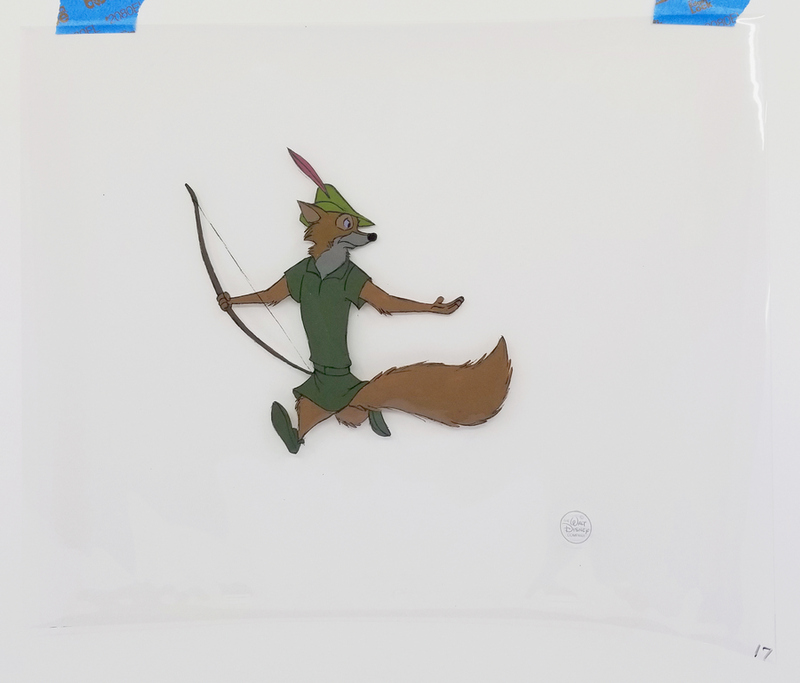 The cel features Robin Hood with his bow, and occurs at approximately 1:15:22. 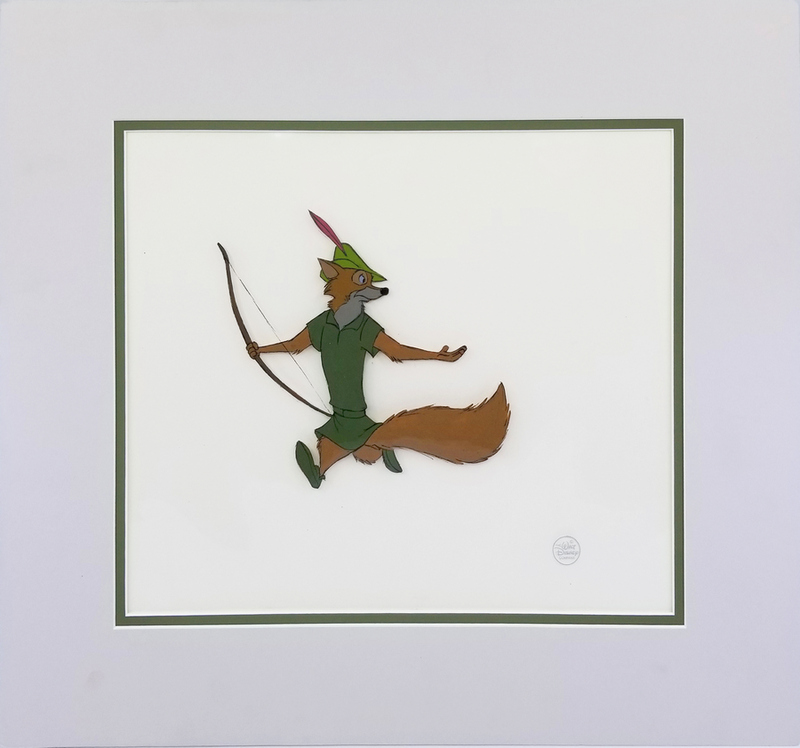 The overall measurements for the piece are 12.5" x 16", with the image itself measuring 6.5" x 6.5". This piece is in very good condition.